The gracious and well travelled owner, Gloria Whiting, shows a deep appreciation for her chosen country's natural beauty, obvious in her attention to detail. Friendships develop easily over a help-yourself complimentary breakfast in an intimate courtyard. Perfect for those travelling alone who appreciate good conversation or a shared dinner or excursion. Kick back and enjoy its breezy Mexican flavor and sincere hospitality. Gloria ensures visitors quickly feel at home here in Puerto Vallarta, passing along information and helpful hints so that each guest has their ideal Vallarta experience. and mere minutes from great beaches. 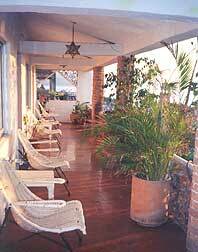 Yet its aura is that of a long ago Vallarta. The Four Winds is a small, 14 room colonial inn centrally located in a residential neighborhood just three blocks from the ocean. Guest rooms are simple but clean and comfortable. 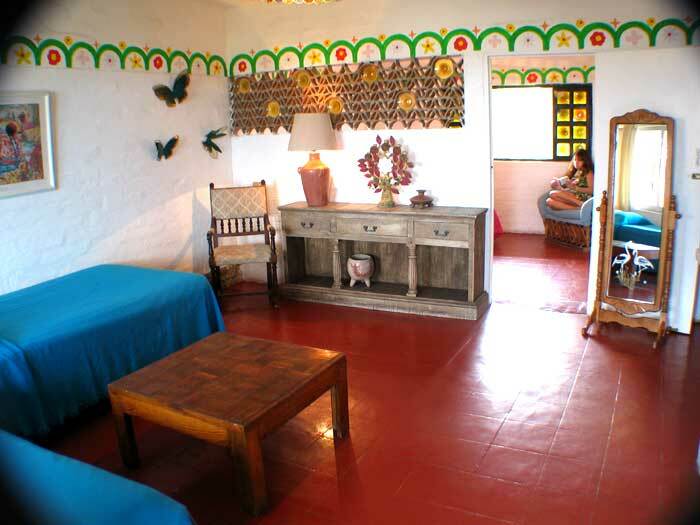 Each has a private bath with a stall shower, chest of drawers and desk or table for writing, comfortable bed(s), night tables with lamps and a small, open closet. The on-premise restaurant, Chez Elena, and the rooftop bar make it easy to relax and stay on premise when tired and still have everything you need. Hotel guests receive a 10% discount at our bar El Nido as well as our restaurant Chez Elena. A courtesy buffet breakfast is served in our garden patio from 8:00 to 10:30 each morning from October through May. The hotel has an intimate, welcoming feel and children of all ages are welcome. Guests tend to be interesting, diverse and from all walks of life and different parts of the world... people who appreciate something "different". 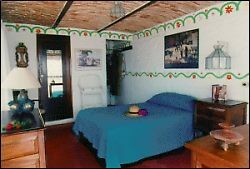 The ten double rooms have either two twin beds or one double bed. Two suites have one queen size in one room and two twin beds in the other. One suite has one king size bed in one room with the other furnished as a sitting room. The other suite has a double bed in the one room with three twin beds in the other. The suites are ideal for families or someone wanting a bit more space. There is no air-conditioning but table fans are available if needed. Ventilation is via large louvered glass windows. 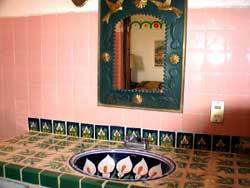 Access to the rooms is from surrounding balconies draped with bougainvillea on each level. The hotel does have a lot of stairs and that can be a problem for some guests. There is no television and no telephones but we do have WiFi Internet access available. A plus for many are the two hotel CATS-IN-CHARGE! In the past few years, Laurel and Hedy, the original supervising felines, moved on and are now managing a heavenly hostel. The present-tense kitties are a laid-back Burmese and a devilish black character: they are still "youths" and the guests find them very entertaining. 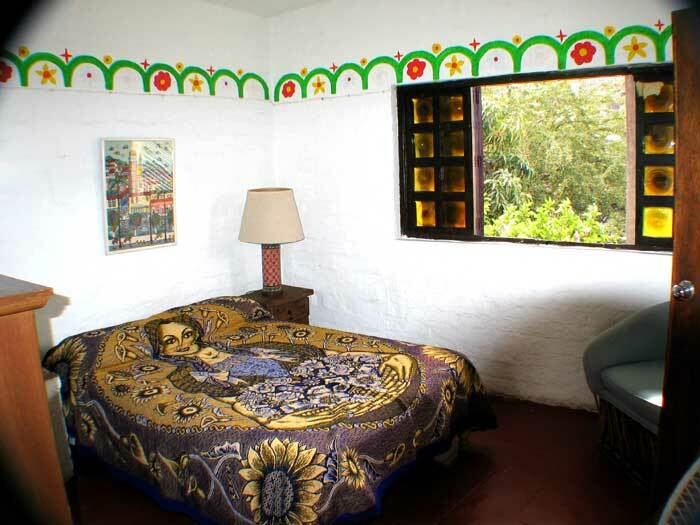 They've been known to invite themselves to a guest room for a siesta or to stay the evening. We have a small but deep and refreshing pool with flowers and beautiful ferns cascading over the east end of the pool.. Water jets are used to aerate the pool and create a pleasant jungle waterfall effect when they are in operation. The rooftop terrace is ideal for reading, sunbathing and just relaxing during the day or sipping a refreshing drink at sunset. 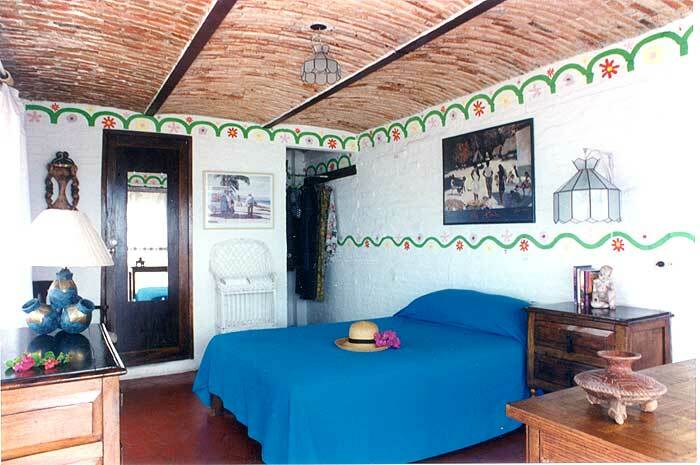 Colorful rooms are charmingly decorated with images of Mexico and Mexican handicrafts bearing pride of workmanship. 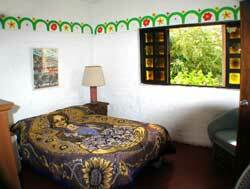 Several comfortable suites are available, accommodating up to six guests. WiFi Internet access is available throughout the hotel. Amenities include a refreshingly cool deep pool, the town's best-loved venue for super sized margaritas and spectacular sunsets, three scenic levels with stair access, El Nido (The Nest) rooftop bar, and the inviting Chez Elena Restaurant, a favorite with locals and visitors alike since 1954.